Start the cleaning process on the day of the test 2 hours before the test. 2) In 15 put water into bottle again and drink it. 4) If you have 2 lines, which mean that you pass the test, then try to submit your test soon. In case of failure look at the next stage. 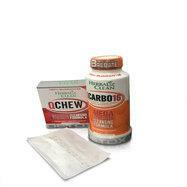 5) Chew the tablet of QClean, then drink 32 ounces of water. Urinate often during one hour and pass the test again. Eat little before you begin the detox process. Urinate frequently, the more often you will do – the better the result you will get. Abundant drinking is indispensable in the cleansing process. Stay away from toxins 2 days before your flush. Remember that the duration of the result is short-termed, so take control of the time!